Today I have something a little different for you!!!!!! 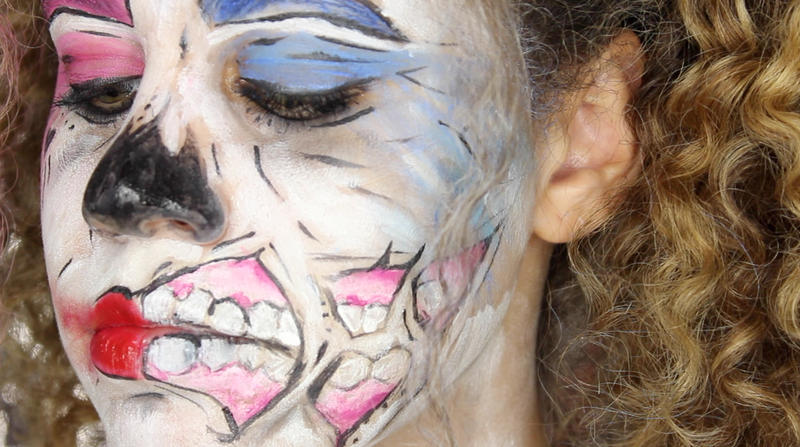 I'm 99.9% positive that this is my first Halloween makeup tutorial!!! I can't believe I've been on Youtube for 6 years and haven't done this yet! 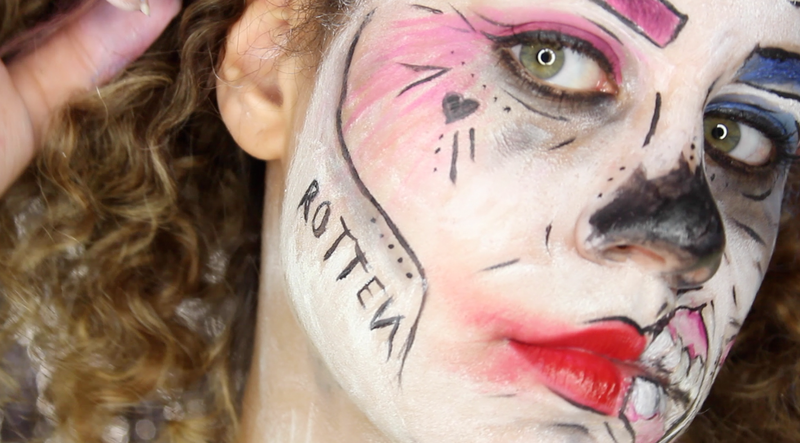 I've been loving all the Harley Quinn makeup looks on YouTube and I finally decided to do one myself! But with a twist of course! A Zombie twist!!!! 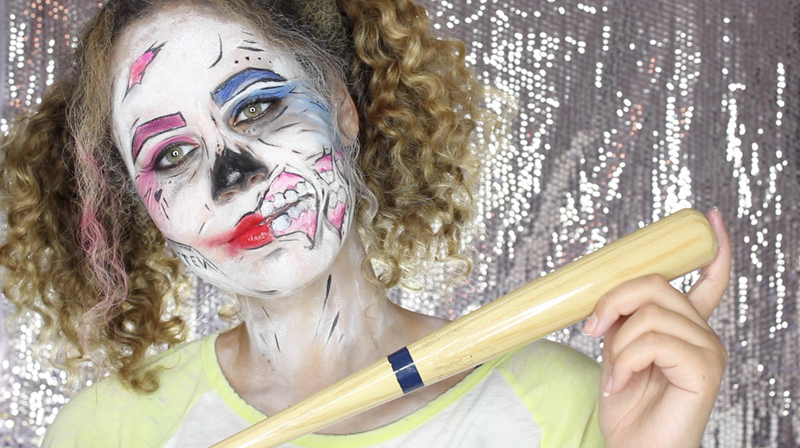 I really wanted to do a pop art zombie look and a Harley Quinn look so I decided to blend them together! I am so happy how this turned out! I'm so very proud of myself for finishing this because as you watch it I stopped and redid my blue eye. I was going to quit right there and then but I continued on with the tutorial! I really hope you enjoy! Let me know what you think! Also I changed my background! I made it myself! I think I'm going to keep it for a few videos! I'm trying to rebrand myself a little bit as you may or may not notice. Just because I've been here for so long...it's time for a few changes!